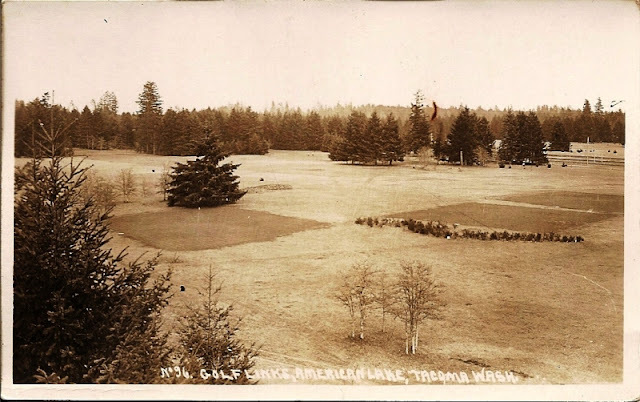 If you have been following this blog for any time you should remember this photo I found of the golf course here at Tacoma Country and Golf Club which we believe was taken around 1915. Many Club members have approached me after reading that post with comments about how difficult it is to imagine the golf course looking like this, and how massive the trees in this picture are today. That blog post really got people talking about the Clubs history. If you want to see that post again, click on history under blog topics in the right hand column of the blog. 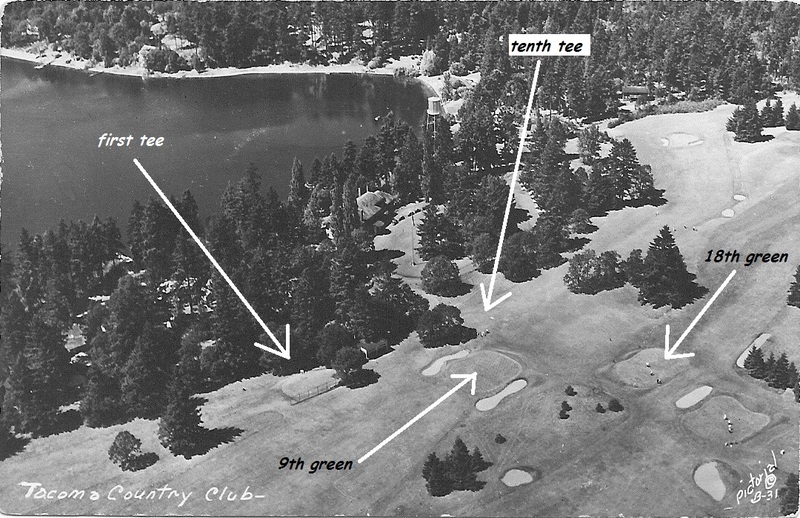 That blog post also showed people that I was really infatuated with the Clubs great history, and so the best thing happened the other day when one member approached me and asked if I would like to see a video of the golf course from 1926. You can imagine my jaw dropped and I said "yes!, can I see it right now?" We immediately went to his house and we viewed it and he gave me a copy. 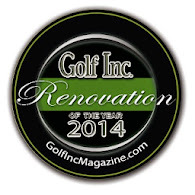 It is absolutely priceless and now I'm going to share it with everyone. Below is a picture from that period which will help you orientate yourself while you watch it. Also, the really cool old picture above I believe was taken from the top of the water tower you will see in the video near the pro shop. The video he gave me of course had no audio so what your seeing is the raw video with some music added by myself with some pop up text that I also added to help you know what your looking at. The video is below. I hope you enjoy it.